Aksh Lens - See things as they truely are !! In today's digital world eye glasses are not merely a tool for vision correction and eye fashion but also essential for good eye health. AKSH has pushed boundaries to bring the best ophthalmic molded lenses with intelligent thermal-lens casting technology. 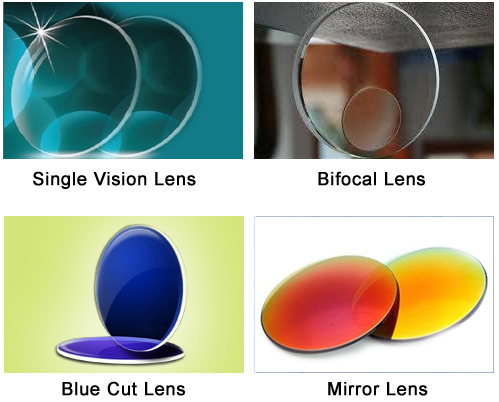 We strive to provide quality lenses at affordable price. For the first time in India AKSH has introduced lens molding and taping technology on such a vast scale. The company has manufacturing facility of 40,000 Sq. ft. in Bhiwadi, Rajasthan. Automated dip hard coat process with advanced precision controlled robotic arm to control coating film thickness. Ion assisted e-beam evaporation technology for AR coating that provides superior adhesion on lenses with excellent durability. Mid Refractive Index - High optical performance. High Abbe Number - Minimize Chromatic Abberation. UV 400 EMI - Inbuilt feature provide safety from unwanted UV rays. Blue Filter - Protection from harmful high energy blue rays of bandwidth between 380- 450 nm. Lighter and Thinner lenses - Comfortable as 20% lighter than CR39. High Impact Resistance- Promotes wearer eye safety. Comfortable- Light and thinner lenses giving a quintessential look. Personality Quotient- Variety of ARC reflection yellow, green, blue, violet and red enhances your personality. Fashion statement - Wide range of Mirror Coating fusion style as per your fashion need.